There are many reasons why someone would want to cruise the Amazon River. Each person has their own motivation for visiting the world's largest rainforest. Whether it's a family trip or anniversary with your loved one, an Amazon adventure will leave you with lasting memories. Below, we highlight some reasons we feel an Amazon River cruise is the right vacation choice. Your Amazon riverboat acts as a mobile observation platform, bringing you to different trail heads, islands, and communities each day. Simply being on your riverboat is an adventure, as you watch impressive scenery move slowly past. Depending on your itinerary, you have the possibility of viewing different types of ecosystems such as flooded forests, terra firme (dry land), savannah, black and white river systems, lakes, and much more. Each ecosystem is home to unique plant and animal species. Amazon River cruises offer flexible itineraries enabling explorers to reach the best trails available for the season. Water levels, rainfall, and migrations are but a few of the natural events occurring each year, and can affect the quality of your Amazon River tour. The ability to navigate and adjust to these natural events means that riverboats afford travelers greater flexibility in a region which is notorious for being unpredictable. The Amazon Rainforest is enormous. It encompasses seven million square kilometers (about 1.7 billion acres), and includes territory belonging to nine different countries. An Amazon River cruise enables travelers to see more of this vast wilderness. It is no secret that the Amazon is rich in flora in fauna. What is staggering, however, is the proportion. The Amazon itself contains the largest collection of living plants and animal species in the world. The region is home to about 2.5 million insect species, tens of thousands of plants, some 2,000 birds, 427 mammals, 428 amphibians, and 378 reptiles have been classified to date. New discoveries are happening all the time. Some travelers fear a stay in the rainforest will be uncomfortable. One advantage of riverboat cruises is that all of your facilities travel with you. Most Amazon cruises are designed to be as comfortable as they are adventurous, so explorers can venture deep into wild areas and still sleep in cozy, dry, insect-free cabins. Cruises are all inclusive, with meals, guides, lectures and equipment in place before you arrive. No need for excessive planning or coordination, just relax and enjoy the sights and sounds of the rainforest. The Amazon is rich in traditional culture. Whether visiting a tribe, or community of mestizos, the experience is sure to be rich and rewarding. Understanding the problems faced by residents of the Amazon is critical to understanding the policies and practices we need to put in place to safeguard its survival. Being that the Amazon encompasses so many different countries, opportunities abound for exploration throughout the region. Before or after your Amazon River cruise you may visit any number of South America’s top destinations. Arrange a tour of Machu Picchu, Rio de Janiero, or Iguazu falls in conjunction with your cruise for the dream vacation. The world is ours to explore. We encourage travelers to take minor risks, expose themselves to unfamiliar countries and environments, try new and exciting foods, practice new languages, and get their feet muddy. An Amazon River cruise is the ideal vacation to leave the relative comfort of our regular routines and enjoy the beauty of the world in which we live. Chartering an Amazon river cruise, gives you the opportunity to make lifelong memories with your entire family, friends or co-workers. Each Amazon riverboat cruise charter is crewed, meaning a fully trained and experienced crew does all the hard work for you, while you relax and enjoy the privilege of having the boat to yourself. 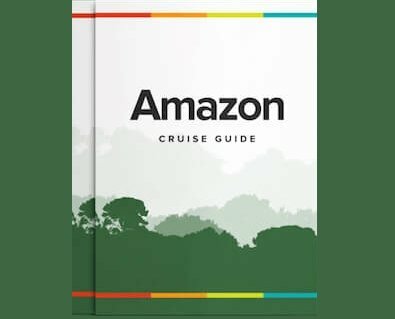 See When to Charter an Amazon River Cruise. Honeymoons are meant to to be a once in a life time experience, celebrating the love and union between two people. It’s the time newlyweds can sit back, relax, and enjoy a nice glass of wine together, away from the pre-wedding madness. They are meant to be unique, romantic, restful, yet adventurous. In the Amazon jungle you'll fall in love all over again. Our 5 Best Honeymoon Cruises. Start planning your Amazon river cruise today! Contact Us and we'll be happy to help.